Appearing like a mirage amidst the gently sloping vineyards of Rioja Alavesa, ribbons of curved steel and titanium shimmer and reflect the hills, sky and the vineyards’ thousand colours throughout the changing seasons. 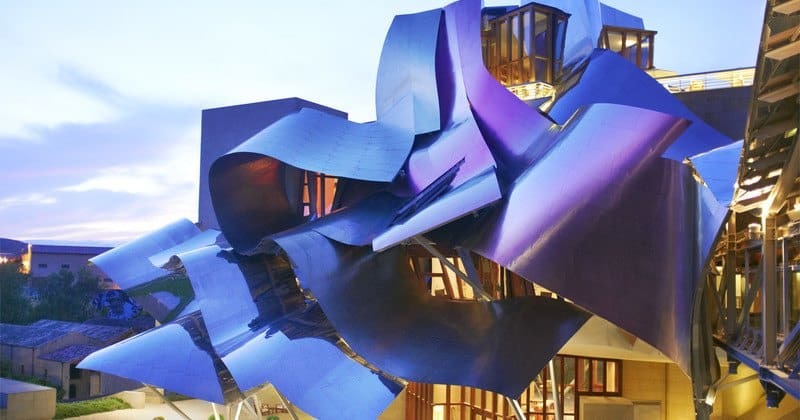 The architecture of the Marqués de Riscal is the astonishing work of Frank O. Gehry, the celebrated creator of the Guggenheim in Bilbao, who freed his imagination to create a truly unique hotel, offering the experience of a lifetime amongst Spain’s noblest vineyards. Many guests find that the hotel offers so many facilities that there is no need to venture outside! As well as an on-site winery, Marqués de Riscal is also home to a Caudalie vinotherapy spa, where the unique concept of therapeutic grape and vine extracts comes together with modern massage and skin treatment techniques for a one-of-a-kind spa experience. Built around the pleasures of wine, there is certainly no shortage of outstanding dining opportunities at Marqués de Riscal. The Michelin-starred restaurant offers innovative, avant-garde cuisine, whilst the bistro serves traditional Basque-Riojan cuisine with a contemporary twist. Wines from the estate are joined by other masterpieces in international oenology in the Wine Bar and the Rooftop Lounge Library invites you to enjoy a drink by the fireplace. 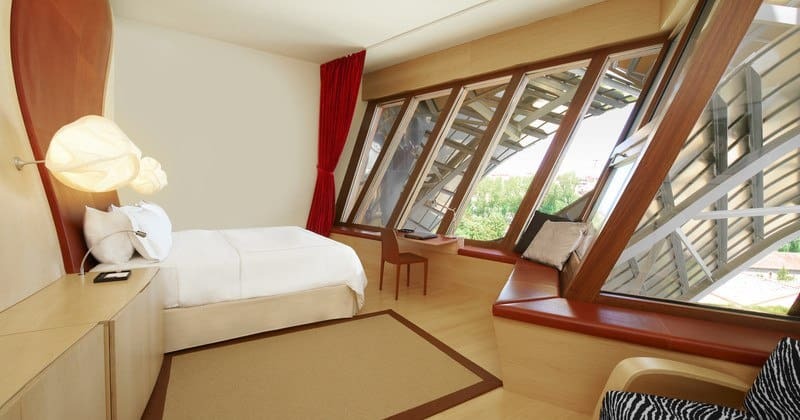 The hotel’s 43 rooms are divided across two wings and each room is decorated in a modern and comfortable style. Boasting views across the vineyards or the medieval village of Elciego, all of the rooms are equipped with Bang & Olufsen LCD televisions, IP Cisco telephones, complimentary WIFI and marble en-suite bathroom facilities. 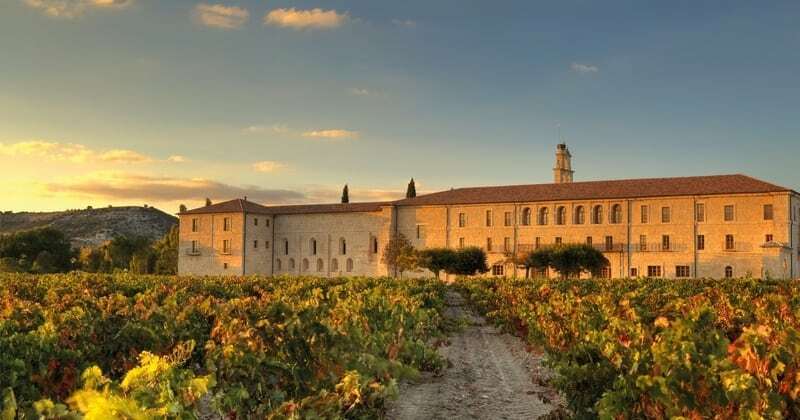 At the heart of a wine estate along the Duero River, Le Domaine Abadia Retuerta is a true jewel. 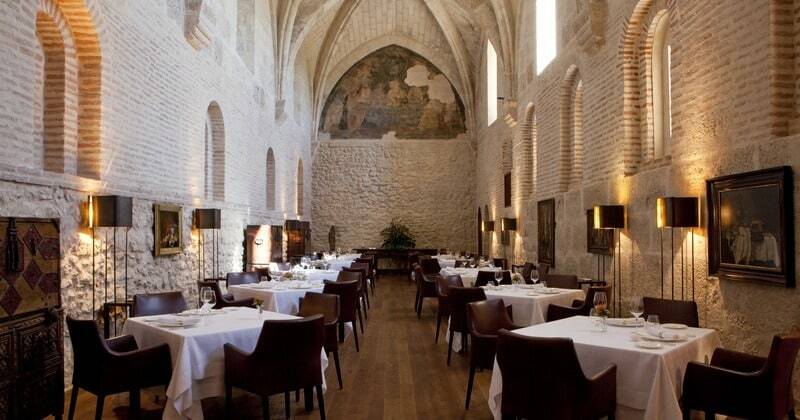 The Abadia Retuerta is located just outside the town of Valladolid in central northern Spain, in the Castilla y Leon province. An approximately two hours’ drive can take you to the Rioja wine region. Madrid can be reached in just over two hours and Bilbao is around three hours away from the hotel.